Time and again we have heard that we have freedom in Christ. Freedom from mistakes, grace for our guilt, and peace for our imperfections. Yet most of us would admit that we are burdened by emotional wounds and negative thoughts. As we try to be the perfect wife, mother, and friend, we’re left feeling frustrated and inadequate. We feel anything but free. So how can we experience true freedom [in our lives]? 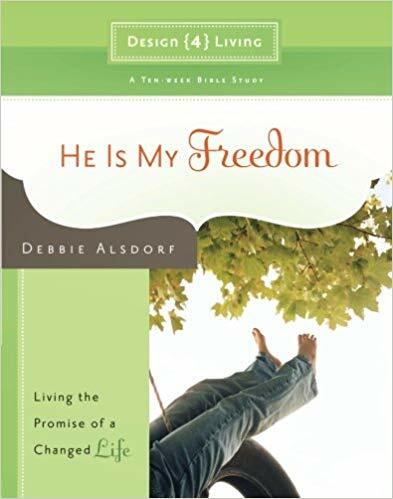 He Is My Freedom is a ten-week journey of spiritual [renewal and] rejuvenation. This study presents biblical truths that will release you from the pressures of perfectionism and enable you to fully give your worries to God. Each day’s selection features room for your thoughts, allowing you to journal and meditate on your personal journey. You’ll find freedom from your past, joy for today, and hope for your future.